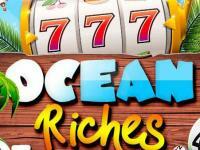 Cornucopia of Cash Grand Million Dollar Party, with over $2 million worth of prizes at stake! 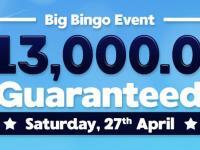 There’s an abundance of prizes to be won in the Cornucopia of Cash Grand Million Dollar Party! Join us on November 28th for your chance to win from the fruitful prize pool of over $2,00 million! 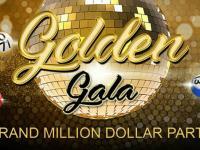 Win your heart’s desire in the Cornucopia of Cash Grand Million Dollar Party, with over $2 million worth of prizes at stake! Simply prebuy your cards and join us from 9PM – 3AM EST on November 28th to play for one hour of Speed Games with a fixed prize of $5.000 every 5th call, pots reaching up to $200.000, plus for the whole event you’ll get 16 CARDS FREE for every 20 bought, Fireworks Pattern with a fixed prize of $5.000 on all calls every hour, 2 Speedy Coveralls per hour with $15.000 on the first 50 calls per hour and special offers on Bingo Bucks! 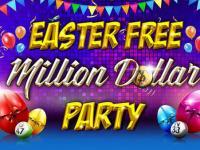 Join the Cornucopia of Cash Grand Million Dollar Party for copious fun to be had and plenty of prizes to be won! 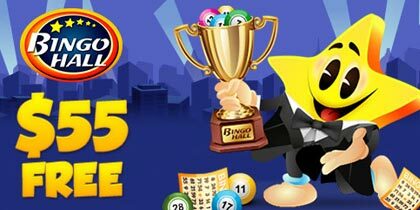 Xmas Calendar – Join Bingo for Money every day between December 1st and December 25th to open up an advent prize box! MERRY CHRISTMAS! What presents and prizes await you within our magical advent calendar boxes? There are daily prizes to be won and you can find out what’s in store every day between December 1st and December 25th and get in on the fun and festive action in our Xmas Calendar! Simply deposit a minimum $50 on any day during the promotion period and you’ll be rewarded with a prize! All depositing players can choose to open a prize box daily containing Free Chips, Free Spins, amazing high-tech gadgets and much much more! Join in and celebrate the Holidays, with prizes and surprises galore in this Fantastic Festive Feast of Fun! There’s thousands to be won in Cyber Speed Games from November 26th to November 30th! 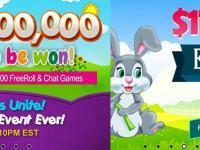 Try your hand at winning some big money prizes! Step into the future with Cyber Speed Games where you have the chance to take your place on the winners podium! Simply prebuy your tickets and join us from November 26th to November 30th in this race of the future! Turbo boost your winning power with prizes from $250 to $1.000 on every 5th call in selected rooms! Zoom into the Supernova Room from 9PM – 11PM for your chance to pick up $1.000 on every 5th call! Take a pit stop in the Dollar Room from 7PM – 9PM to try your hand at winning $750 on every 5th call! Race into the Desperate Housewives Room from 3PM – 5PM to play for $250 on every 5th call. 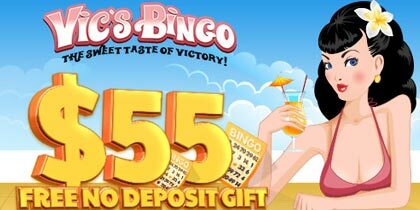 Dash over to Bingo Cafe from 3AM – 5AM to try your hand at winning $500 on every 5th call!